The New Zealand lifestyle is about penny pinching as a necessity, not as a means to get ahead. This story was originally published in August 2010 and first appeared on the discussion forum Expatexposed. There’s nothing here to compensate for the forced pennypinching – little opportunity, no rich culture, you can’t easily travel to other places for a change – nothing. The government and migration agencies are dressing New Zealand up and not being honest about what it is really like here – THAT is my biggest gripe. If you are rich, boaty and/or fetishize nature, you will LOVE it here, and you won’t have to make sacrifices, or the sacrifices may well be worth it. I am not rich, boaty and do not fetishize nature. I DO wear woolly socks and jumpers inside, and I did that before I came here. I shop secondhand “just because it is sensible”. I make food from scratch. I totally agree – it’s sensible and no less, regardless. I have NEVER had central heating or double-glazed windows in any house I have lived in, though I aspired to such back home where I was able to afford to buy my own house. I used to put thermal plastic sheeting on my windows to keep warm in winter. I will hunt that stuff down for this year in NZ if I haven’t been able to leave by winter. 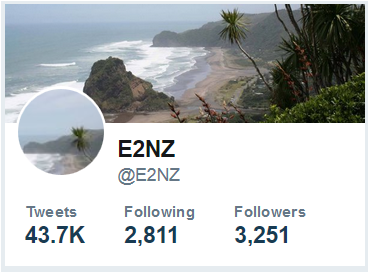 At home, I had a gas furnace (not a standalone heater) and my heating was, under a special distributive program where they spread the money out for winter heating to summer months so you don’t get these big lumps to pay in winter) about 80 a month USD (that’s about, what, 100 NZD?). Just to give you a comparison. The difference is that back there, I lived this same way and was able to save money and get ahead by being frugal. I could afford better food and I didn’t have to darn big holes in socks. I’d darn a little hole or two and then when the socks persisted in developing more holes, I would give them away to the local animal shelter inside a pillowcase for the animals to use. I had money to travel and visit people. I’ve lived frugally before – and was able to GET AHEAD by doing so. I was able to save thousands a year doing that. Here, you are FORCED to live that way just to keep your head above water, and you are lucky if you can save anything. Maybe some year upward mobility will pull you into its wake if you can catch the wave at the right time…you can only climb the rungs of the ladder with great difficulty in New Zealand, and just hope you don’t have a setback that sends you back to START. It’s easy to have that happen to you if you have no family here to cushion your setbacks for you. “Unlike many European countries, but in common with other ‘Anglo’ countries such as Britain, the United States and Australia, New Zealanders do not have a particularly high regard for intellectual activity, particularly if it is more theoretical than practical. This is linked with the idea of ‘kiwi ingenuity’ (see above), which supposes that all problems are better solved by seeing what works than by applying a theory. This distrust of theory manifested itself in social policy of the early and mid twentieth century, which historian Michael Bassett described as ’socialism without doctrines’: although the policies of the first Labour and other governments pursued traditionally socialist goals, they were not based on any coherent theory. A major break with this tradition came in the 1980s when the fourth Labour and fourth National governments enacted a series of reforms based on free market ideology. This reinforced many New Zealanders’ distrust of intellectual theory, as many consider that the reforms increased poverty and inequality in New Zealand. Despite the prevailing mood of anti-intellectualism, New Zealand has reasonably high rates of participation in tertiary education and has produced a number of internationally renowned scholars and scientists, including Ernest Rutherford, J.G.A. Pocock and Alan MacDiarmid. It should be noted that both Rutherford and Pocock spent most of their professional lives in Britain. For many years this was a common occurrence, and a consequence both of New Zealanders’ attitudes and the low population which made it hard to support major research. Because New Zealanders often have to relocate to achieve worldwide fame and fortune, New Zealanders are keen to claim famous people as being New Zealanders, however short their residency in New Zealand might have been. While people born in New Zealand are certainly identified as New Zealanders, those who attended a New Zealand school or resided in New Zealand also qualify, irrespective of national origin. This sometimes leads to famous people and innovations being identified as coming from both New Zealand and another country—such as the pop group Crowded House, the race horse Phar Lap and the actor Russell Crowe, all of whom have been associated with Australia and New Zealand. Because the measure of New Zealand success was often how well a person did internationally, anything from ‘Overseas’ is seen as holding more cultural capital than the local equivalent, regardless of its quality. (E2NZ.org is being updated all the time, for the latest of hundreds of migrant tales click on this link e2nz.org/tag/migrant-tales. If you would like to send us your migrant tale please leave it in the contribute section). Let’s face it, if New Zealand was that great why does a country larger than Britain have more sheep than people, and a population of a little under 4.5 million. Did you know >1 million Kiwis live overseas, ever wondered why they do that if ‘everything is awesome’? 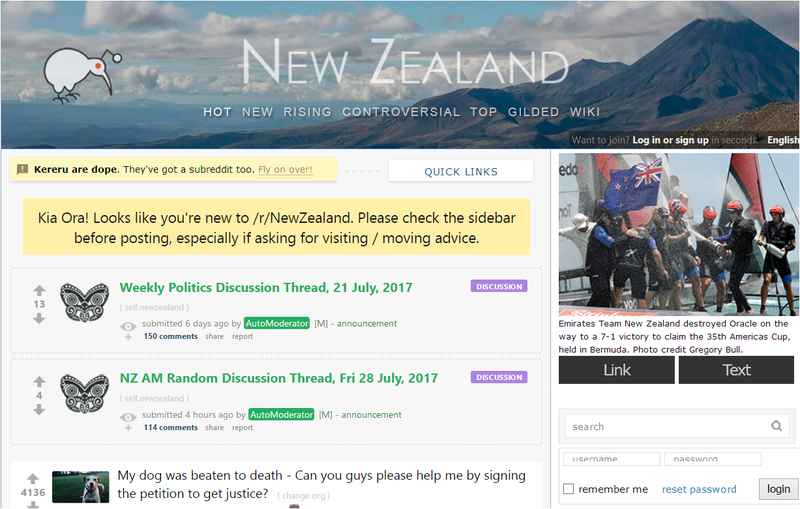 Migrant Stories – "Don’t Move To New Zealand"